Agreement allows easy moving of VMware workloads between on-premise environments and IBM cloud. Businesses looking for a quicker and easier way to move workloads to the cloud will soon be able to benefit from a new deal between IBM and Vodafone. At the VMworld Europe event in Barcelona today, the two companies revealed the launch of a service that they claim will help tackle one of the biggest issues affecting IT departments that use VMware services. Moving existing VMware workloads from on-premise environments to the cloud can often incur major costs and open up enterprises to security risks due to the need to redesign applications and security policies. However today's agreement will establish a new hybrid cloud offering built on IBM Cloud and Vodafone's Hosted Private Cloud service, which could benefit as many as half a million enterprises in 19 countries running around 50 million workloads. Vodafone enterprise customers will now be able to quickly manage and scale workloads utilising their existing VMware cloud software and services. The company's customers will also be able to dial into IBM's existing hybrid cloud capabilities, as well as its existing relationship with VMware, to get access to some of IBM's most in-demand services such as Watson. “IBM is an excellent partner for Vodafone. 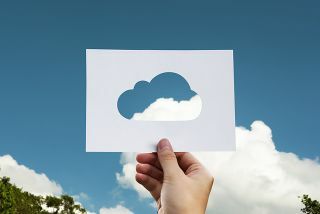 The combination of our network and our VMware based Hosted Private Cloud with the global reach of IBM’s capabilities gives customers more flexibility, more choice and the possibility of a true hybrid cloud,” said Greg Hyttenrauch, Vodafone director of cloud and hosting services.